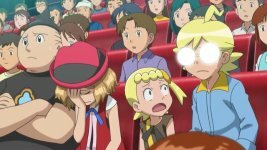 Discussion in 'Pokémon Animé Discussion' started by Dragalge, Nov 4, 2018. We have watched many programs in the past. Some good and some bad! Pokémon is one of them of course. But how does it rank with other shows you have watched in the past and the present! It can range from other anime to the cartoons in the west! For me, various western programs are the ones I prefer to Pokémon like Looney Tunes and Ed, Edd, & Eddy but I wouldn’t rank Pokémon the lowest for sure. Any series of Pokémon is more bearable than CN’s outpouring of awfully animated things in my opinion! Pokemon ranks pretty low in terms of shows I've watched over the years (especially in terms of Anime). It's about on par with the majority of shows I watched growing up, though there are a few shows I much preferred to Pokemon (Ed, Edd and Eddy, Spongebob, Chowder, Adventure Time, Phineas and Ferb). In terms of other anime, I have watched a lot of shows that I like more Pokemon unlike the Western Cartoons I grew up watching, with some stand outs being Hunter x Hunter (1999 and 2011) Dragon Ball Z, Naruto (until the Kaguya showed up) and My Hero Academia. I'd say in my mind, Pokemon (with DP and XY series being my main source of love for the show)generally ranks on the same level of shows such as Dragon Ball Super, Fullmetal Alchemist 2003, Neon Genesis Evangeleon and Code Geass. It's not the best show I've watched but it's also not the worst. I ranked it pretty low too, compared to the other animes/cartoons that are known to be long (100 episodes +) like Dragon Ball, Sailor Moon, Teenage Mutant Ninja Turtles, Power Rangers, Shugo Chara & The Simpsons, as they tended to balance the cast better than just focusing on the main character most of the time. Near the top for most of it. I'll willingly watch Pokémon episodes multiple times. Other shows may be better, but they always eventually fade from my memory. It's pretty low for me. I cannot bring myself to check older episodes from it unlike with other shows where I can either rewatch or just look for videos. Pretty low for me as well since they don't treat the other main characters well especially if they're female, with the exception of Dawn, May, and Lillie. Dragon Ball and Naruto/Boruto suffer the same fate as well so theyre pretty low on my list too. Slightly in the above mid for me. While this show has a soft spot in my heart, there are better shows out there that I watched. In terms of cartoons, pre movie Spongebob, Chowder and a couple others are better than this. Avatar the Last Airbender, Gravity Falls, Batman the animated series and Wander over Yonder smoke them by miles. Do abridged series count though... because I like what Something Witty Entertainment did to SAO, one of the most boring and cliched anime imaginable gets turned into something I like. To be honest, GT isn't as bad as people say. Yeah it's the worst Dragon Ball series and was made so Toei/Fuji TV can continue milking Dragon Ball after Toriyama finished the manga, but people give it too much of a bad rep. There are a lot worse anime out there than Dragon Ball GT (like Pokemon Black and White for example). While the Black Star Dragon Balls Saga really sucked and was dragged out for too long, the Super 17 Saga was pretty decent and the Baby and Shadow Dragons Sagas were great ideas on paper but didn't really get pulled off correctly, Pan was annoying, Trunks was a complete ***** and Goku hogged all of the screentime. Aside from that, the characters designs are awesome (Toriyama drew a lot of them himself), we got SSJ4 and Golden Oozaru, it had some really emotional moments like the ending, Piccolo's death and how he got sent to Hell despite being redeemed and Kuririn's death, along with the animation was really good. I miss worded that, I watch GT and I don't like that one. That particular thing was retconned from what I know and it deserved it. Dragon Ball GT had its issues but I wasn't annoyed to the same extent to the Pokemon anime issues. At least, there's continuities, so we got to see other characters more than the companions/classmates who are only there for one series and they'll be most likely being gone for good. And for me, who really care about them, it affects me alot. And I like to see the protagonists achieving their biggest challenges, seeing them losing to preserve the status quo is just depressing. The greatest animes of 90's will be DBZ and neon genesis evangelion and in 00's will be full metal brotherhood and code geass with gurren lagaan and death note coming close pokemon sereis is definitley behind them, but i will put it above any of the animes of this decade except for attack on titan and fate stay unlimited blade works. Naruto and bleach had good plotlines but are ruined by untimely and awfull filler arcs. GT was very bad, it did somewhat ruined the DBZ legacy, the only good things abotu GT was its opening and the super saiyan 4 concept , otherwise power scaling was rubbish, the most atrocius thing it did was poor treatment of iconic characters like vegeta, gohan, piccolo and trunks. They were totally useless. Did piccolo even got single minute of screentime in that series. I would say brotherhood was better it followed the original manga, but FMA 2003 is close too. Well, GT does stand for "Goku Time". Did piccolo even got single minute of screentime in that series. Yeah, he was in two of the best scenes in GT, being his death (Gohan's reaction is so full of raw emotion) and when Goku was going around saying bye to all his friends before leaving with Shenlong (going down to Hell to visit him). They're both great. I feel that FMA 2003 handled the beginning of the story (the introduction of the Elric Brothers in Liore instead of in Central) and the Shou Tucker story line better by showing what happened to him afterwards, but Brotherhood is better in every other aspect. And confusing as well, i have watched both the series multiple times and still got confused because of differences, but yeah full metal is most complete package anime to be there, great plots, excellant characters, great action and fights and gold comedy. That series can never be made again. 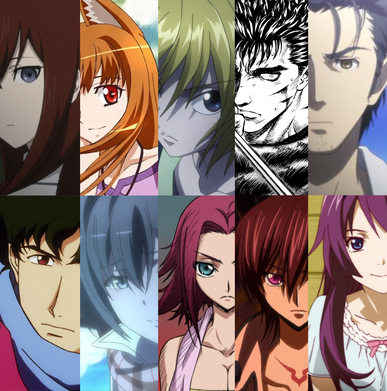 I would say decade of 00's has to be the greatest time period for animes. Compared to other anime that I've watched I'd say it's pretty low on my list hell it doesn't even make the top 10,it's at the very bottom with Yu-Gi-Oh!. 04n70n10 and Ignition like this.